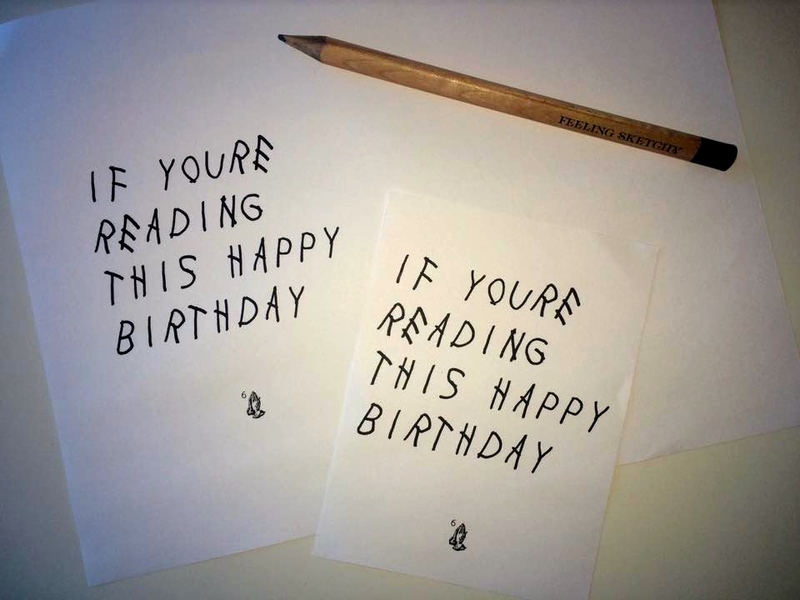 These DIY birthday cards were ridiculously easy to make thanks to ifyouretypingthisitstoolate.com. The site “Drakeifies” any text that you’d like, giving it the same font and style as the “If You’re Reading This It’s Too Late” album cover. 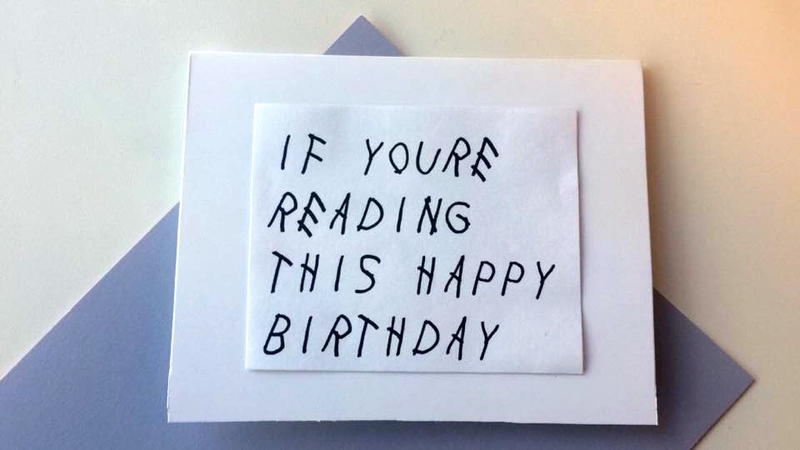 I originally typed in “If you’re reading this it’s your birthday” but it was too long so I settled with “If you’re reading this happy birthday”. To make the cards, I printed my text out on plain white paper, cut it out and taped it to card stock and voila! Sure, it’s no where close to being store-quality, but the effort and thought behind it is what really counts. 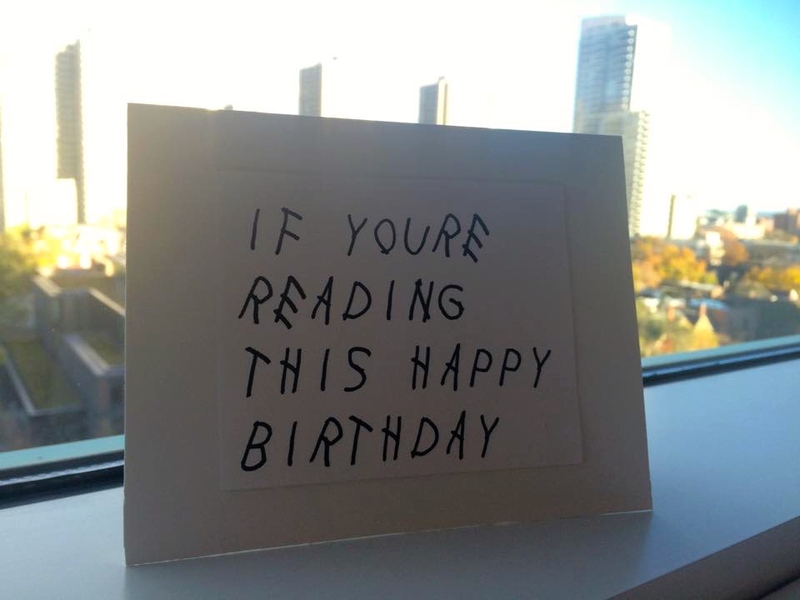 Want a super cool Drake card for your BFF’s birthday? Just call 1-800-HOTLINEBLING.